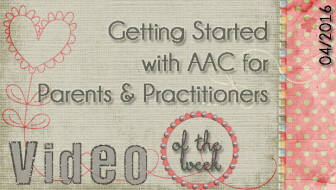 Looking to strengthen your assessment practices with beginning users of AAC? The Angelman Syndrome Foundation’s Communication Training Series has a two-part presentation on this topic that will be of interest to professionals and families alike. 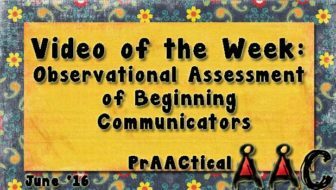 In this video, SLP Maureen Nevers discusses a range of prAACtical strategies and tools for gathering meaningful assessment data that helps guide intervention. One important note: Don’t skip this just because you are not currently working with individuals who have Angelman Syndrome. 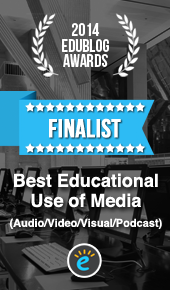 Like their other videos, the information in this presentation is relevant to those working with children, teens, and adults with a wide range of developmental disabilities. 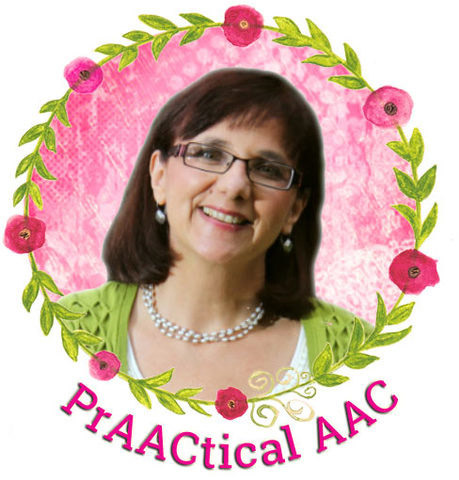 Direct Link to Video: https://www.youtube.com/watch?v=pgrsr8a2EKA&index=35&list=PLihsTkrStCHZVZBHDC0Qr7z10cYWC0ltx Kudos to the Angelman Syndrome Foundation for this outstanding series of training videos, and for making them freely available. Interested in this topic? Stay tuned for the second video on this topic in a future post. 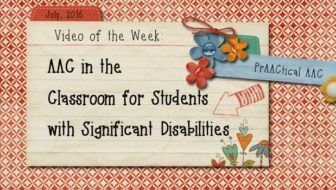 We return to the Institute on Disability at the University of New Hampshire to learn about ways to support beginning communicators. 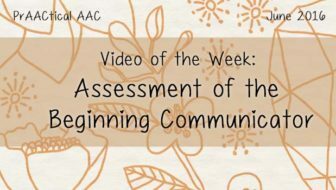 In this video, Dr. Rae Sonnenmeier discusses ways to create communication opportunities, research evidence for key intervention practices, and strategies that communication facilitators can use to support AAC learners at home, in school, and in the community.